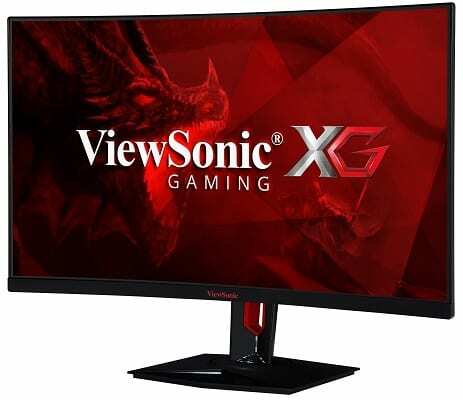 ViewSonic XG3240-C Review 2019 - Why This Gaming Monitor ROCKS! 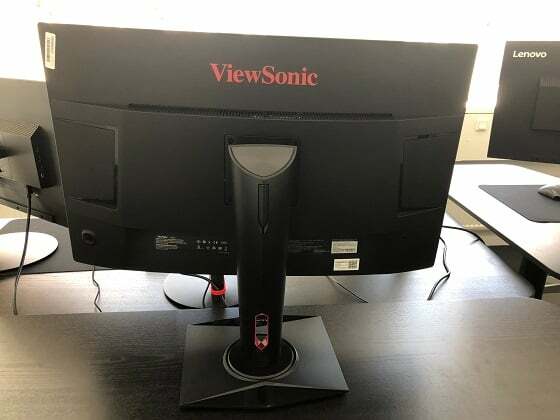 The ViewSonic XG3240-C has been around for about a year now, yet it remains shrouded in relative obscurity compared to similar monitors of the more widespread and better-established brands such as Samsung or Asus. 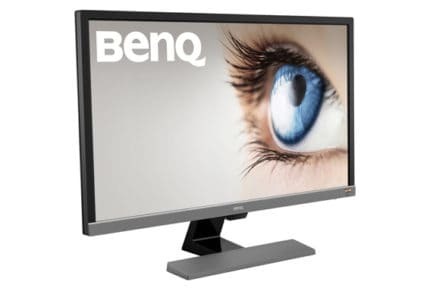 However, this monitor offers very good value in its price range, as it comes with all the most important features that a gamer would appreciate, all the while offering great visuals to boot. 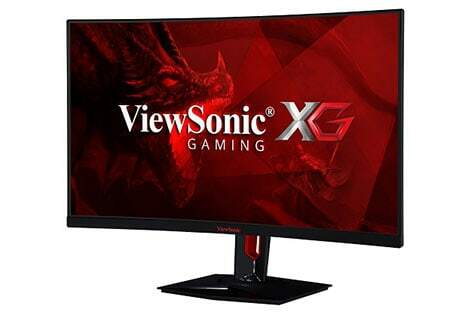 Without further ado, let’s see what the ViewSonic XG3240-C is all about! Before we take a closer look at the monitor, here’s a quick overview of the specifications and the features that you can expect. 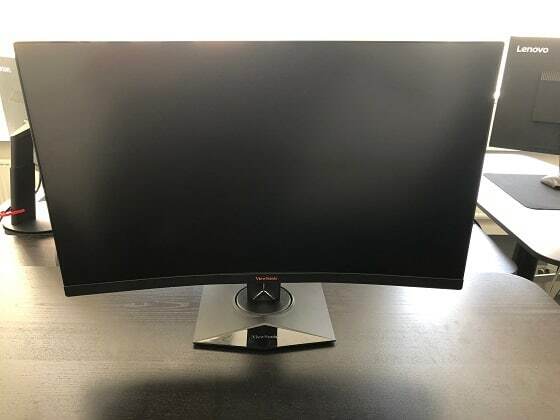 What we have here is a 32-inch 1440p widescreen monitor with a 1800R curve. It utilizes a high-quality VA panel that supports refresh rates of up to 144Hz and has a grey-to-grey pixel response time as low as 3ms. On top of that, it also brings HDR10 support, wide color gamut, and it incorporates AMD’s FreeSync technology. As for the connectors and any additional features, it comes with two HDMI ports, a single DisplayPort, five USB ports, and it is even equipped with dual 6W speakers. As is to be expected of monitors in this price range, the monitor also comes with a 100x100mm VESA pattern for convenient mounting. 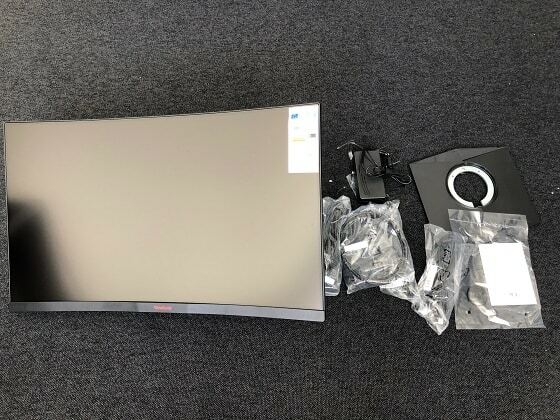 The above specification sheet covers the only the most important aspects of the monitor, and you can see the full specification sheet on the official product page. Now, we get to the actual hands-on review of the product, where we will be taking a closer look at all the features that the XG3240-C brings to the table, discussing what it does well, and what could be improved. As previously established, the XG3240-C is a 32-inch monitor, which we find to be a bit too big for comfortable desktop use, especially if we’re talking a 16:9 monitor instead of an ultrawide 21:9 one. Of course, some actually find this screen size to be perfectly agreeable (if not outright perfect), but whether you’re comfortable with using a 32-inch 16:9 monitor at your desk is entirely subjective and it comes down to personal preference. Plus, the distance from which you’re viewing the monitor will also play a role. In any case, viewing the screen from up close is not too hard on the eyes, if that’s your primary concern, as the blue light filter ensures reduced eye strain. On the other hand, something that we feel was largely unnecessary in regards to the monitor’s design is the curved screen. As we have previously mentioned in several other articles, curved screens in monitors balance on a thin line between being a useful feature and being a gimmick. In the case of non-ultrawide monitors such as the ViewSonic XG3240-C, they gravitate more towards the latter. In essence, a curved display provides a greater sense of immersion by “wrapping” around your field of vision, but this is not something that a 16:9 monitor can do very well – not as well as a 21:9 monitor, at least. It is also a bit of a double-edged sword, because while it can provide that increased sense of immersion, it also limits the monitor’s horizontal viewing angle. 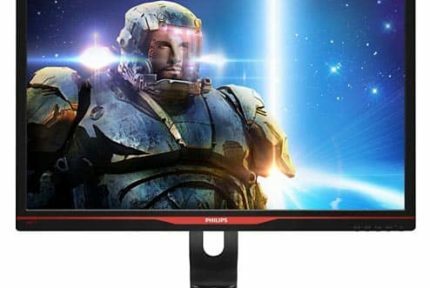 With all of the above in mind, the screen itself will perhaps be the crux when it comes to deciding whether you want to buy this monitor or not. As stated before, we find 27-inch screens to be ideal for desktop use, and we feel that a curved screen only needlessly increases production costs (and therefore, the price) of this particular monitor. Something that stands out in the spec sheet of the ViewSonic XG3240-C is the panel it uses – a VA panel. VA (vertical alignment) panels have not been terribly popular or widely implemented in gaming monitors over the past couple of years. For the most part, they remain constrained to LCD TVs while monitors tend to favor either IPS or TN instead, and for several reasons. To put it simply: TN is the cheap panel with the best performance, while IPS is the more expensive panel that delivers better visuals. VA is somewhat awkwardly stuck in the middle, as it doesn’t really outshine either of the two other panels in any regard. VA panels do tend to offer better contrast ratios than most IPS panels, but their primary strength today is their ability to offer better performance than an IPS panel at lower prices and greatly outclass the TN panel in terms of visual quality. Granted, an IPS gaming monitor will have greater color accuracy and better viewing angles, and a TN gaming monitor will not only offer a 144Hz refresh rate at a significantly lower price, but it will also have a lower response time (1ms, as opposed to the 3ms of this monitor), but the XG3240-C does an excellent job of balancing out the performance and the visuals nonetheless. On the downside, there is some visible ghosting and there might be some backlight bleeding which is bound to be noticeable if you’re using the monitor in the dark, both of which are fairly common issues with VA panels. There’s just no way to put it lightly – monitor speakers are rarely any good. Those found in the ViewSonic XG3240-C are hardly an exception to the rule, as they are fairly small and underpowered. They won’t fill up the room, won’t produce any real bass, and expect to hear some audio distortion if you crank up the volume. Still, these speakers are a bit more powerful than what you’d usually find in a monitor, as they are 6W speakers, in contrast to 2W and 3W ones that you’d commonly see. This makes them a convenient feature to have if you’re watching YouTube videos and don’t want to keep your headset/headphones on all the time, but they just won’t do for gaming nor for movies. If you actually want proper dedicated desktop speakers, we recommend checking out our selection of the best gaming speakers here. And finally, there’s the stand which comes with the monitor, and it has pretty much all the features that you’d want out of a gaming monitor stand. It is well-built, it is height, tilt, and swivel-adjustable, and it even has a convenient hook on the back where you can keep your headset. One issue, however, is with the rotation: the stand just isn’t tall enough to allow for the monitor to be rotated into portrait mode comfortably, even at maximum height. This is not a big deal since we’re dealing with a curved monitor after all, but it is worth pointing out nonetheless. At the end of the day, the monitor does come with a 100x100mm VESA pattern, so you can always use a third-party monitor stand instead of the standard stand. Having said all of the above, some truths about the ViewSonic XG3240-C should be fairly evident. For one, it is a truly superb mid-range gaming monitor that not only brings the optimal refresh rate for gaming and the lowest possible response time you can expect to see in a VA panel, but it also offers great visuals that a TN monitor will never come close to. And while the color reproduction is not as great as what you’d get with an IPS panel, the excellent contrast ratio does make up for it. The only major qualms we have with this monitor are its size and the fact that it utilizes a curved display, both of which we feel constitute a needless price increase in what could have potentially been an even more affordable gaming monitor. As for the ghosting, it is fairly minimal and to be expected of a VA panel. We haven’t noticed any major backlight bleeding, but again, this is another recurring issue with VA panels, so some units might have more pronounced backlight bleeding than others. Ultimately, what will determine whether you buy this monitor or not are your own budget and how much importance you place on visuals and performance respectively. 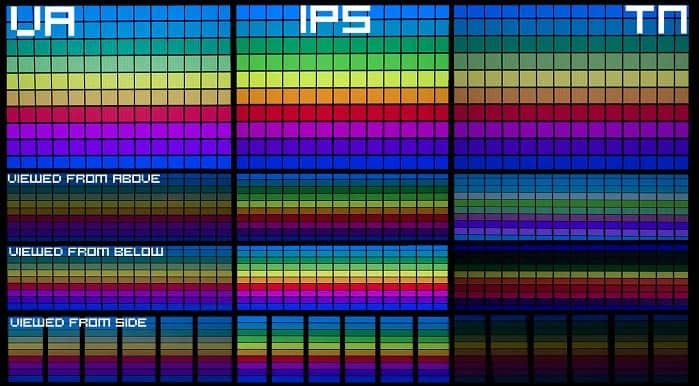 If you’re all about color accuracy, you might want to invest a little more and get an IPS gaming monitor. Alternatively, if you don’t really care about refresh rates, you could probably get an even cheaper 60Hz IPS monitor that will still offer better visuals. On the other hand, if you prioritize performance and don’t care much for the visual quality, you can find a good 144Hz monitor with a TN panel at less than half the price of the XG3240-C. But, as before, it’s all about personal preference. 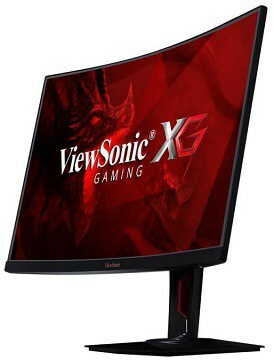 What we can confidently say is that the ViewSonic XG3240-C presents an excellent middle ground between TN and IPS gaming monitors, combining the most important aspects of both in one decently-priced mid-range monitor. Stil not convinced? Check out another hands-on review by Tech YES City below! All things considered, this is a truly superb monitor that is well worth the price. The only real issues with the monitor itself are the minor ghosting and backlight bleeding, although we do feel that it could have presented even better value if only it were a regular flat-screen monitor. Nonetheless, if you want a 32-inch WQHD curved monitor that offers both great visuals and great performance, we can’t think of a better model.